Any cause that reduces reproductive success in a portion of a population potentially exerts evolutionary pressure, selective pressure or selection pressure. With sufficient pressure, inherited traits that mitigate its effects—even if they would be deleterious in other circumstances—can become widely spread through a population. It is a quantitative description of the amount of change occurring in processes investigated by evolutionary biology, but the formal concept is often extended to other areas of research. In population genetics, selection pressure is usually expressed as a selection coefficient. It has been shown that putting an amino acid bio-synthesizing gene like HIS4 gene under amino acid selective pressure in yeast causes enhancement of expression of adjacent genes which is due to the transcriptional co-regulation of two adjacent genes in Eukaryota. 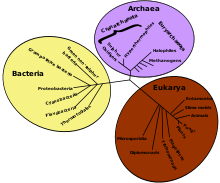 Drug resistance in bacteria is an example of an outcome of natural selection. When a drug is used on a species of bacteria, those that cannot resist die and do not produce offspring, while those that survive potentially pass on the resistance gene to the next generation (vertical gene transmission). 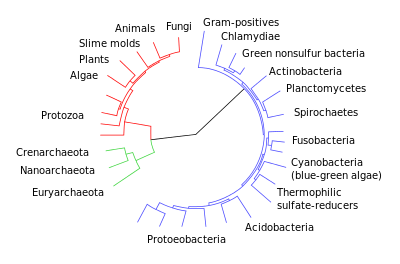 The resistance gene can also be passed on to one bacterium by another of a different species (horizontal gene transmission). Because of this, the drug resistance increases over generations. For example, in hospitals, environments are created where pathogens such as C. difficile have developed a resistance to antibiotics. Antibiotic resistance is made worse by the misuse of antibiotics. Antibiotic resistance is encouraged when antibiotics are used to treat non-bacterial diseases, and when antibiotics are not used for the prescribed amount of time or in the prescribed dose. Clostridium difficile, gram-positive bacteria species that inhabits the gut of mammals, exemplifies one type of bacteria that is a major cause of death by nosocomial infections. When symbiotic gut flora populations are disrupted (e.g., by antibiotics), one becomes more vulnerable to pathogens. The rapid evolution of antibiotic resistance places an enormous selective pressure on the advantageous alleles of resistance passed down to future generations. The Red Queen hypothesis shows that the evolutionary arms race between pathogenic bacteria and humans is a constant battle for evolutionary advantages in outcompeting each other. The evolutionary arms race between the rapidly evolving virulence factors of the bacteria and the treatment practices of modern medicine requires evolutionary biologists to understand the mechanisms of resistance in these pathogenic bacteria, especially considering the growing number of infected hospitalized patients. The evolved virulence factors pose a threat to patients in hospitals, who are immunocompromised from illness or antibiotic treatment. Virulence factors are the characteristics that the evolved bacteria have developed to increase pathogenicity. One of the virulence factors of C. difficile that largely constitutes its resistance to antibiotics is its toxins: enterotoxin TcdA and cytotoxin TcdB. Toxins produce spores that are difficult to inactivate and remove from the environment. This is especially true in hospitals where an infected patient's room may contain spores for up to 20 weeks. Combating the threat of the rapid spread of CDIs is therefore dependent on hospital sanitation practices removing spores from the environment. A study published in the American Journal of Gastroenterology found that to control the spread of CDIs glove use, hand hygiene, disposable thermometers and disinfection of the environment are necessary practices in health facilities. The virulence of this pathogen is remarkable and may take a radical change at sanitation approaches used in hospitals to control CDI outbreaks. The Malaria parasite can exert a selective pressure on populations. This pressure has led to natural selection for erythrocytes carrying the sickle cell hemoglobin gene mutation (Hb S)—causing sickle cell anaemia—in areas where malaria is a major health concern, because the condition grants some resistance to this infectious disease. In the US, studies have shown that fruit flies that infest orange groves were becoming resistant to malathion, a pesticide used to kill them. In Hawaii and Japan, the diamondback moth developed a resistance to Bacillus thuringiensis, which is used in several commercial crops including Bt corn, about three years after it began to be used heavily. In England, rats in certain areas have developed such a strong resistance to rat poison that they can consume up to five times as much of it as normal rats without dying. DDT is no longer effective in controlling mosquitoes that transmit malaria in some places, a fact that contributed to a resurgence of the disease. In the southern United States, the weed Amaranthus palmeri, which interferes with production of cotton, has developed widespread resistance to the herbicide glyphosate. In the Baltic Sea, decreases in salinity has encouraged the emergence of a new species of brown seaweed, Fucus radicans. ↑ "Selection Pressure". Iscid.org. Retrieved 2011-11-15. ↑ Ali Razaghi; Roger Huerlimann; Leigh Owens; Kirsten Heimann (2015). "Increased expression and secretion of recombinant hIFNγ through amino acid starvation-induced selective pressure on the adjacent HIS4 gene in Pichia pastoris". European Pharmaceutical Journal. 62 (2). doi:10.1515/afpuc-2015-0031. ↑ "CDC - Healthcare-associated infections - HAI". Cdc.gov. Retrieved 2011-11-15.
difficile infections: The importance of the intestinal microbiota. World Journal of Gastroenterology 20:7416-7423.
difficile infection: reviewing the evidence. American Journal of Gastroenterology 105:2327–39 quiz 2340. ↑ Kenneth R. Bridges, M.D. (2002-04-02). "Malaria and the Sickle Hemoglobin Gene". Sickle.bwh.harvard.edu. Retrieved 2011-11-15.